Some of you have been on one of those bad blind dates that started with "I know this woman that you really should meet". You also know that the better the friend recommending her, the more likely she is to be the last person that you will want to spend any time with. You express your disinterest, your buddy pleads with you, until he finally reals that his wife/daughter/girlfriend/significant-other has put him up to it. So you go. Its horrible. As penance, you make him buy you beers to rinse her from your memory and you move on. Then there's the automotive equivalent. "I know this guy selling this car, that you gotta buy!" "Why", you ask, "Dude cause I can't (afford it) (it doesn't fit the kids) (my wife would kill me). Cars and women differ, because the better the friend in this scenario, the more likely it is that the car will be the best deal you should have bought. 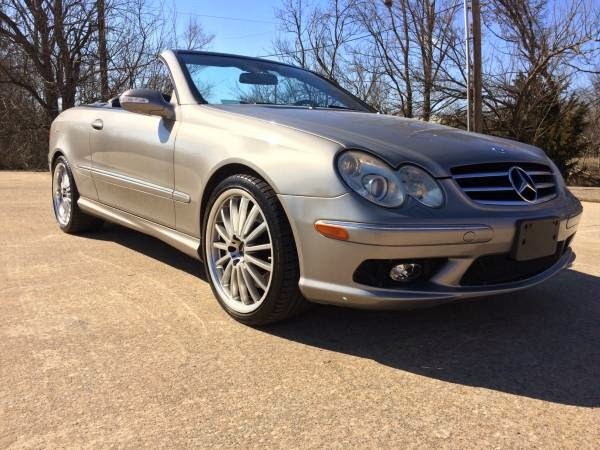 Such is the case with me and (all of those parenthenticals) as they apply to my buddy's 2004 Mercedes AMG CLK 55 Convertible, in my favorite exterior color and sporting a new set of Michelins and currently listed on Craigslist in Oklahoma City, for $17000. 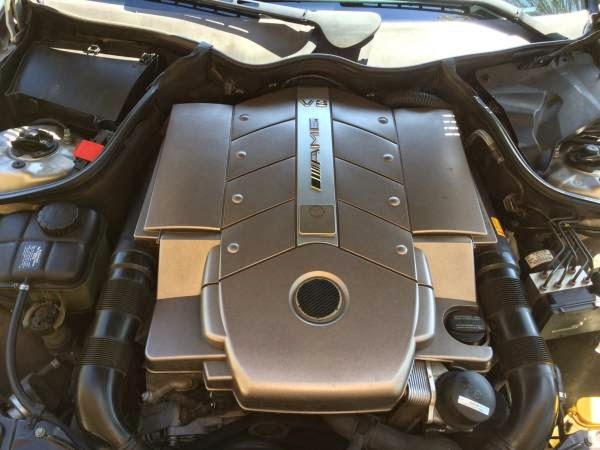 Here at DT we usually post write ups on cars we (or you) have found on the interwebs where there is usually some decent information about the car, but nothing about the background of the car or the seller. In this case, I've got all the dirt info on the seller! The $17K asking price is slightly over our typical $15K self-imposed limit, but I'm making an exception because I've known the owner of this car for over 40 years (which is incredible given that we're both still in our mid-30's) and can assure our readers that when it comes to car owners, he is the most meticulous person I've ever met. He takes care of his cars the way Howard Hunt took care of Anna Nicole Smith...if there's ever anything wrong, or anything out of place, he's written a check to get a highly paid professional to solve the problem. 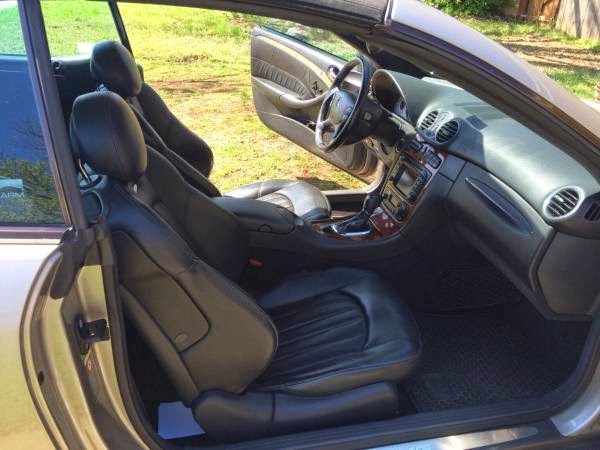 After selling his his Porsche Cayman S (which I'm still chiding him for) he bought this AMG at one of the Leake Auctions in Tulsa about two years ago through an auto broker that he's purchased no fewer than 12 cars through. At that time, the car was just slightly stanced, giving it a very menacing look, which appeared perfect, so they bought the car. After the first month or so of driving it he felt that the lowering caused it to ride more harshly than what he felt an AMG should, so he spent the money to have the dealer convert the car back to its original suspension; which wasn't cheap. But he had to do it, because he had already fallen in love with the 445 HP the AMG provides for those time when you'd rather just drive than do anything else. While it was at the Mercedes dealership getting the suspension returned to its normal spring rate and ride height, they noticed that another side effect of it having been slightly stanced was that its front spoiler had been cracked at its mounting points. It had been repaired from behind, so it wasn't noticeable from the front of the car, but... he's a perfectionist, so off it came so it could be replaced with a whole new piece which was given a quality respray; which wasn't cheap. Fortunately, cars are just a collection of bits and pieces which bolt in and out easily, which means this car doesn't show the same weathering effects that have ravaged poor Pamela Anderson as the result of having some of her surgical misadventures reversed. Another way to look at a car like this; a slightly used vehicle that's been meticulously maintained at the highest levels with a nearly $65,000 discount over MSRP. Ah, Mercedes...the best or nothing...plus painful depreciation. My respect for German car companies only grows larger by the day. Regardless, this would be a marvelous car to own and I hope the seller finds a good buyer. I have the feeling he won't need much help and I'm sure he'll buy something else equally as exotic if he hasn't already. Seriously - we know he already has - what is it? Or is that several somethings? You have to tell us because that allows some of us to live vicariously. Well, he went from a Cayman S to this so that he could be available for occasional chauffeuring of his two adorable grandchildren, but they had nowhere to put the extra gear that kids all have these days. His current car solves that dilemna. FTB- oooh, soo close... 550i xdrive Grand Turismo. Once you get the HP bug there's no going back! Wait. Did you write this post, Hunsbloger? If so, nice job! Very entertaining. Yup, one of the rare times that I didn't hide behind Vince's byline. I love this. It would look even cooler with Monoblocks. ...apparently is an Escalade, these days. I see tons of them driving around with magnet signs advertising the realtor driving/piloting/hoping the whale will go in the general direction they wish to travel in. 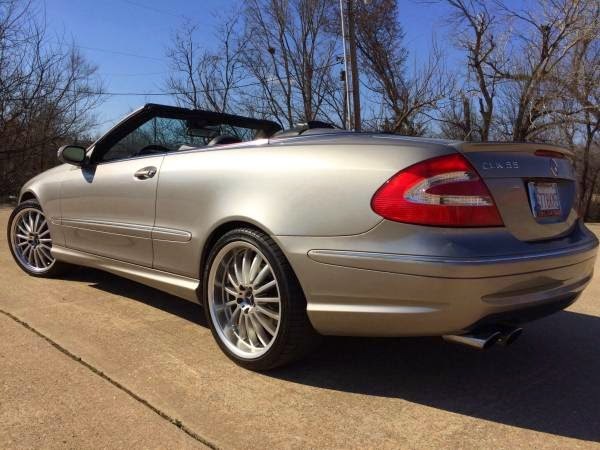 Wow, this CLK 55 just gets better and better looking. If interested you can call DJ at 405-570-5414 for more info. Nice ride indeed. If I didn't need space for all my cycling paraphernalia I'd be on this. 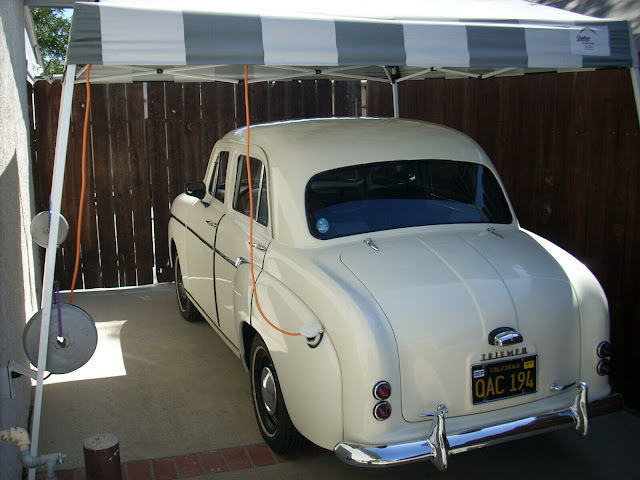 When we were in our (real) 30's, I had all the fun cars and he was driving the schlepwagens, now he's having all the fun and I'm in schlepwagens. Turnabout's fair play, roundabouts confuse most. What is the difference between fake 30s and real 30s? Is that like claiming you're in your 30s when you're really quite a bit older? Perception = Reality. We still think and feel like we should be in our 30's, but the cosmos is biased towards a chronological chain of events which it assigns to us rather than our own perception of reality which is inherently biased against grey headed dudes such as myself. Ha ha! You twist the knife, sir. this car is clean clean. My next daily should be a 11/12 c300 4 matic. In that steel grey color. I've loved benzes since I was a tyke, another trait that my grandfather handed me. If this thing had more roof it would be right up my alley.